← [Gift] The moderation team gives you the “Merry Christmas” set ! We offer you to discover a LookBook on the theme of Christmas, from the most traditional to the most whimsical ! Collect outfits and accessories made by talented players, who plunge us this time in different aspects of this magical celebration. Collect different looks to unlock the following stage ! And to obtain the ultimate look – the Imperial court – and its 15 item multipliers, you will need to collect every look. This stage unlocks the “Christmas in Lapland” court pack and 15 item multipliers ! You have until Sunday, December 30th at 11.59pm (Paris time) to reach the ultimate look. 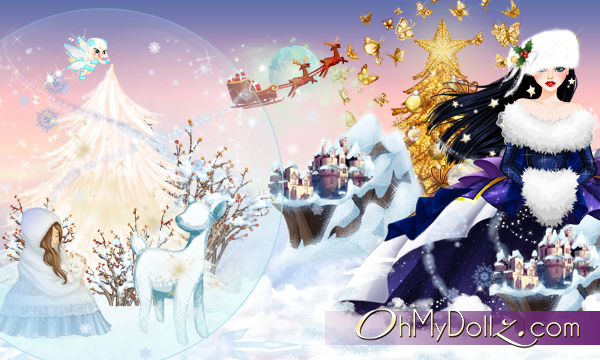 Merry Christmas on OhMyDollz !